Growing up I considered myself a building master. I had visions of becoming a famous architect or designer and used my designs to fuel my imagination. I worked within the blocky limitations of the building materials available and had to rely on my creativity to design in the world of set blocks. Now, with the introduction of the Pinblock Building System, future architects and builders can let their imaginations roll rather than losing energy on trying to circumvent the limits placed by the building materials. The Pinblock Building and Construction System was invented by two friends who had a similar passion as kids – building epic things. They got together and realized that their childhood building passion had been limited by the size, shape, and instructions of the building blocks. They set out to design something that could be flexible, while allowing creative juices to flow. They discovered that with a unique design of using just one block, they would unleash unlimited design ideas. 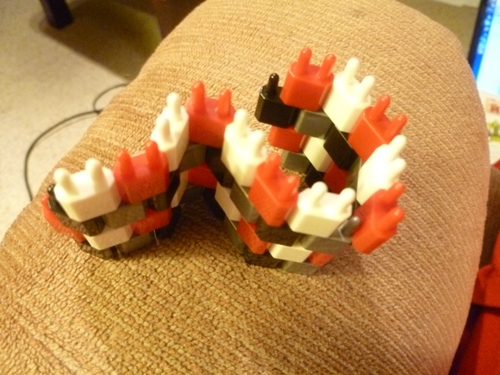 Their design is one 2 pin shaped block. Rather than being limiting, this new pin allows twisting and turning because of beveled edges and a hollowed base. With these features, new designs can include wearable gadgets, pixel-like art pieces, and many interesting 3D models. I picked up a box and spent several minutes looking at the complex design on the cover. How could a child 7+ years old play with this building toy? I thought. Opening the box I found the pin blocks in various colors. The old feelings from when I was younger came back to me as I dipped into the blocks and began to experiment putting them together. They were obviously very sturdy and yet smooth to the touch and easy to put together. Even though my kit had very intricate instructions for making a fighter jet, I was drawn immediately into making my own creations. I loved the fact that the pieces could twist and bend when put together. 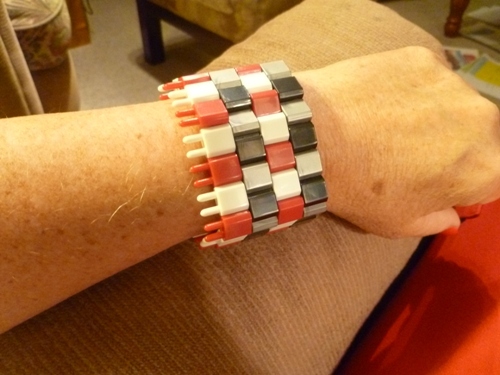 Within minutes I had made a bracelet for my mom. The possibilities were endless as any straight line could be bent into shapes. One of the nicest things I found about the building system is that I didn’t have to stop to find a particular piece. I could focus entirely on the piece in my hand and just grab a color. It made building lightning fast and easy. I found the design of the pin allowed me to insert art within my designs, as the pins create a pixel-like quality in the design. 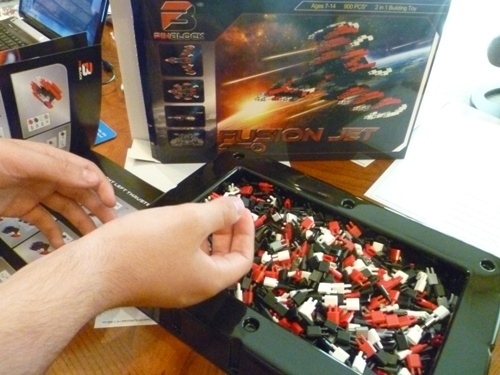 Although the Pinblock Building and Construction System was launched in January of this year, the system was listed by Forbes as one of the “Top 10 Toys to Watch in 2015”. The single pin system can bend and rotate. It is made of quality ABS plastic to last for years to come. The nice thing I realized is that since there were no “special” pieces, if I lost one, any other pin would replace it. Thus, I won’t have to spend hours online overpaying for that one lost “specialty” block. 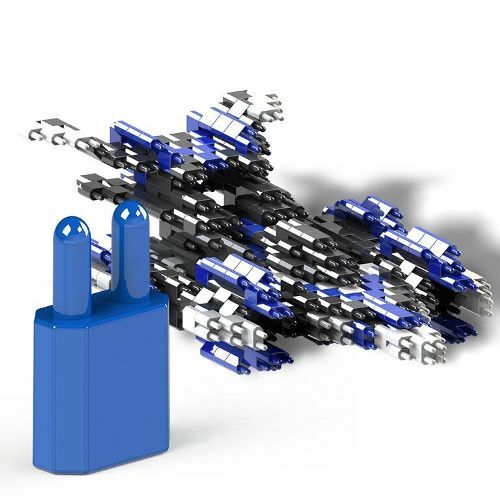 So, if you want a building and construction system that builds 3d Models, designs wearables, and creates art, let your imagination soar with the Pinblock Building and Construction System. 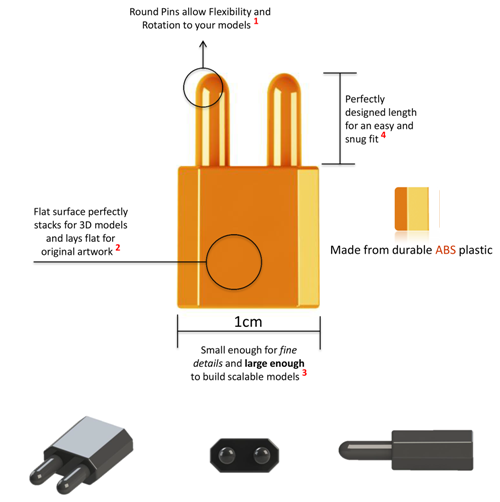 The Pinblock is flexible, but durable and versatile, so virtually any design is possible. I found this system a real winner! There are kits with extensive instructions that can challenge the patience of any experienced builder. Or, like me, you can enjoy the freedom of the pieces and construct free-form designs. BONUS: For Amazing Kids! 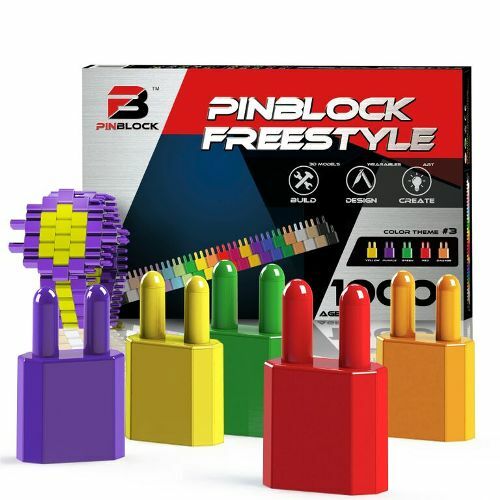 readers, Pinblock has authorized a significant discount off of their normal $44.95 – $54.99 suggested retail price. By using this special discount code, only available to Amazing Kids! readers, you can get 50% off the purchase of any of the kits on their website.